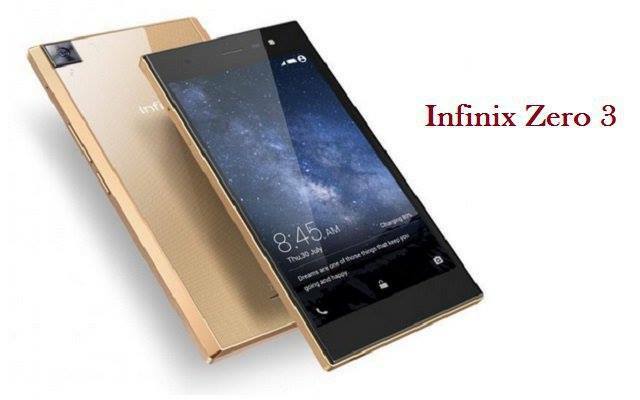 Infinix Company is introduction latest Smartphone product for its valued customers with fantastic feature. In few months later Infinix Company had launched Infinix Zero 2 Smartphone for its valued buyers throughout the World and this time it is launching Infinix Zero 3 Smartphone with more unique technologies. This hand-set gives Android Lollipop upgradable system with speedy Octa-core processor of 2.0 GHz. This hand-set RAM option is also exceptional and it is providing 3 GB relevant RAM option along with 16 GB built-in memory feature. The camera quality of this Smartphone is also very astonishing and it is providing excellent rear camera option of 20.7 mega pixels and this is not enough it is also giving 5.0 mega pixels front camera feature in this hand-set for taking countless selfies by using it. This is complete Smartphone product of Infinix Company and it has attached latest Smartphone features in this hand-set. Infinix is providing 3G and 4G internet usage feature in this cellular phone and customers can avail both types internet services through this product with correctly. Infinix always brings products with reasonable rates and it is also introducing this Smartphone with cheap prices. This is complete Smartphone product in cheap charges and users can avail all latest Smartphones technologies after buying this product with correctly. All regular features are also included in this hand-set and users can enjoy all telecommunication services by using it without facing hanging problem. Get the complete specifications details of this hand-set from the below. ROM: 16 GB Built-In memory. Rear Camera: 20.7 mega pixels (True Tone Flash). Front Camera: 5.0 mega pixels (Auto-Focus). Display Screen Size: 5.5 inches. Display Pixels: 1920 x 1080 pixels. Display Colors: 16M Colors and FHD display screen. Bluetooth v4.1, EDR, Micro USB v2.0, WLAN, GPRS, WI-FI, WI-FI Direct and EDGE. Audio: FM-Radio, 3.5mm audio jack, MP3, MP4, WAV Files, WMA Files and Other Multi-media player. Ringtones: Polyphonic ringtones, Downloadable, Sound-recording, MP3 and WAV Files. Other Features: GPS Supported, A-GPS Supported, Multi-touch display option, GLONASS supported, Speaker-phone, Google search, Document viewer and Photo/Video editor. Latest Features: Gravity sensor, Dual-Standby, Micro-SIM, External micro-SD storage up to option, Accelerometer sensor, 400ppi Pixel density and Light sensor. You may also like it: Infinix Note 3.